Be ahead of the pack when the gate drops with the 2018 YZ450F! 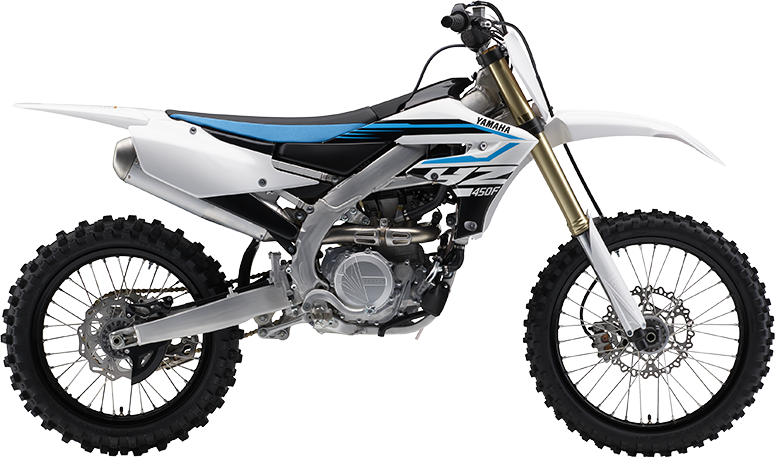 The ultimate motocrosser gets a long list of improvements giving it more power; all with the push of a button thanks to the addition of electric start. A newly developed chassis, head-turning style, and an all-new Power Tuner app to fine-tune engine settings right from your Smartphone will have you smiling ear to ear on the podium. The 449 cc reversed, rear slanting engine receives new cams, valve springs and intake port. New piston with optimized underside ribs makes it lighter and stronger. The result is a higher compression ratio at 12.8:1 delivering a more power, than ever before.